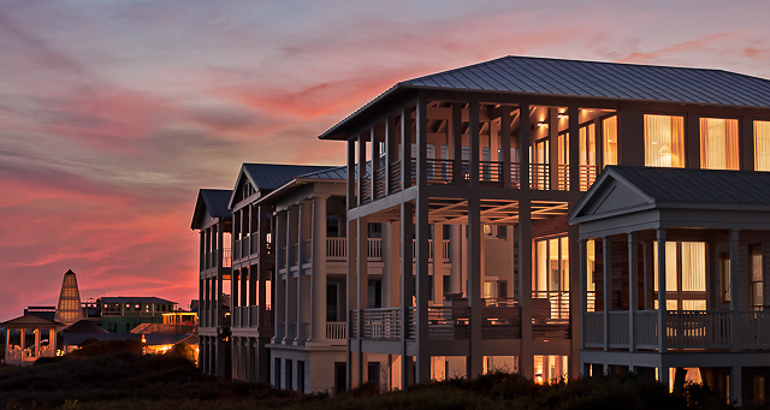 Seaside is an award winning master-planned community founded in 1985. Seaside is renowned for its diverse and picturesque architecture and sense of community. 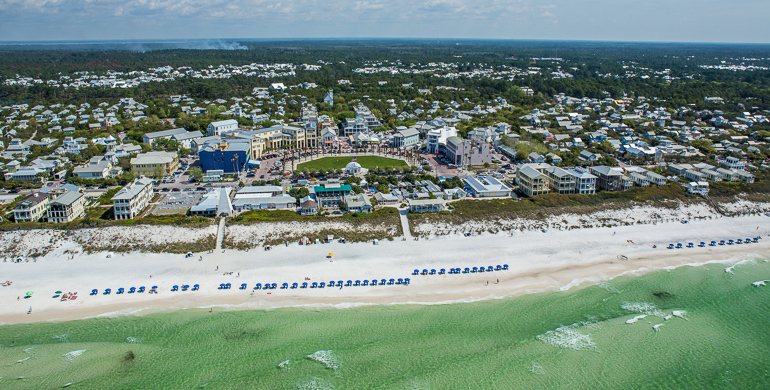 Seaside offers everything from breathtaking beaches to one of a kind Floridian housing. 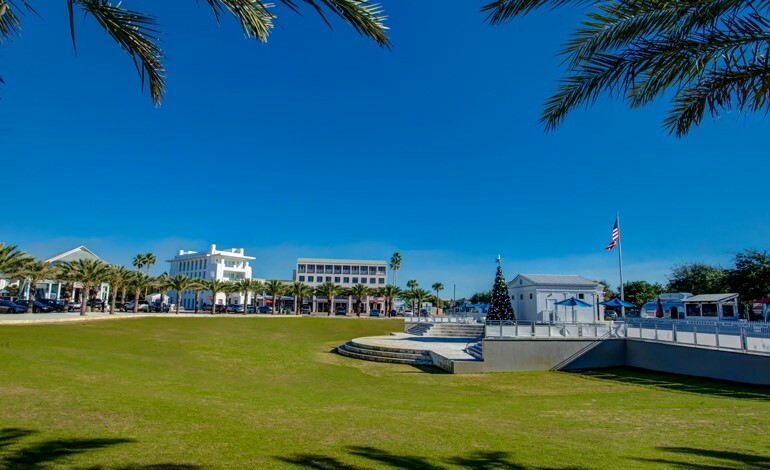 Whether your family needs to flee the big city and take life at a slower pace or you need a more relaxing scene to increase productivity, Seaside is home! No car needed! Homes, shops, restaurants and offices are only a stroll away. Everything in Seaside is within walking or biking distance, one of the many pleasures of New Urbanism architecture. 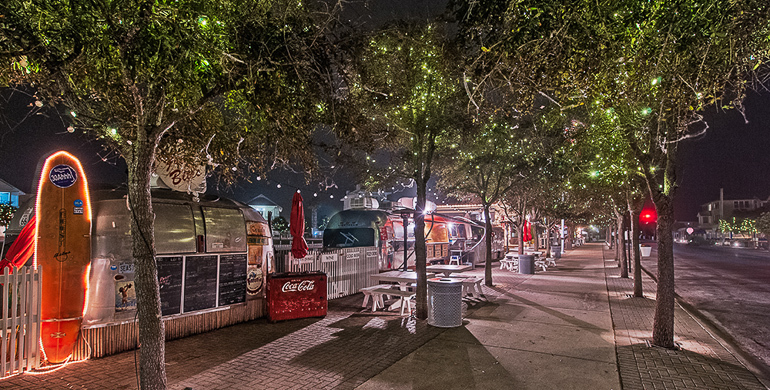 Home owners can walk to grocery stores for fresh daily fair and residents can enjoy lunch at any number of the diverse restaurants, ranging from good-ole southern home cooking to upscale modern cuisine. Every structure is unique in Seaside. By requirement, no home or building can have the same design. Embracing your own individual style, in a city considered an architectural marvel, is only limited by your imagination. With a veritable who’s who list of architects lending their flare to the skyline, you are sure to find your perfect dream home. A local bistro or oftentimes the residents’ front porches become the site of relaxing discussions in the sea breeze. Seaside’s familial feeling is its most enriching aspect and it can be experienced on a daily basis. Life on the Beach: Seaside beach has nine uniquely designed pavilions. Each one offers a unique taste of peace on the beach. Nights on the Green: The Seaside Repertory Theatre is the only professional theatre troupe on Florida’s Emerald Coast. Enjoy the thrills of stage theater as it was meant to be, with a professional troupe and in an intimate 75-seat theater. All-faiths Chapel: The nondenominational Seaside Interfaith Chapel welcomes believers of all faiths. Seaside Farmers Market – The freshest of the fresh. Farm-to-table and surf-to-table foods make so much sense when your home table is only a few blocks away! Every Saturday morning the Seaside Farmers Market is open for visitors and weekly shoppers alike. Modica Market – A family owned, favorite daily-stop-shop for locals, Modica Market is a treat and fantastic resource in the community. Bud & Alley’s Restaurant – For almost three decades this restaurant has been a favorite Seaside spot for fresh seafood and tasty cocktail concoctions. Enjoy sunset at this popular establishment’s rooftop bar. Sundog Books – This unique neighborhood bookstore has grown up with the town of Seaside. The best of modern and historical literature, vinyl LPs and everything in between can be discovered here. Whether you are retiring or in need of a retreat for your entire family, Seaside beckons. Central Square Cinema – Enjoy movies under the stars at the Seaside Amphitheater Lawn. Special events are regularly hosted at this venue. Take your pick! Seeing Wine Festival – The Seeing Wine Festival is an annual celebration. Enjoy wines from around the world and multiple entertainment opportunities at this event. Fired-Up Pottery Painting – Choose your own pottery and paints and then plan, customize and design your pottery creation. Newbill Collection by the Sea – Sculptures, fine craft, original paintings, photography and Contemporary American Art. Seaside was founded on old-fashioned beach town principles of a carefree and friendly lifestyle based upon quality family time spent without a car or television. This community favors walking barefoot, making sandcastles and sipping lemonade on the porch to the hustle and bustle of larger beach towns. Enjoy days of long casual conversations with neighbors and days of sand between the toes and eyes on the surf. At day’s end marvel in the comfort of your uniquely styled home and life.